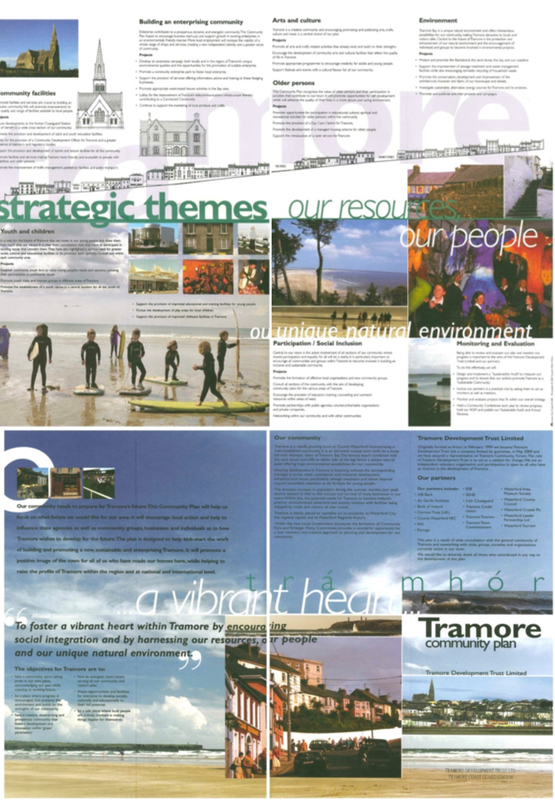 Our Community Plan was prepared in consultation with the people of Tramore community through community workshops. The Plan set out a framework that provided a focus for the future development of the town. As Tramore was recognised as the fastest growing town in the country, the Plan was designed to help kick-start the work of building and promoting a sustainable, vibrant and enterprising town. It aims to encourage local community action and help to influence state agencies, community groups, businesses and individuals to engage in the future growth of the town.